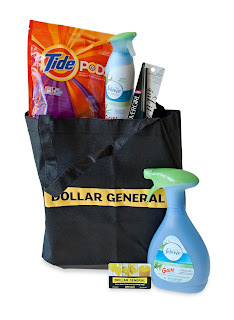 Did you know that you can use P&G brandSAVER® coupons at Dollar General to get high-quality P&G products at great prices? You can even get more savings on everyone’s favorite brands like Febreze Air Effects with Gain Fresh Scent, which sweeps away stale odors and leaves a fresh scent. This giveaway will end September 26th at Midnight EST. Disclaimer: The Being Frugal and Making it Work family received complimentary P&G Prize Pack for the purpose of writing a review and hosting a giveaway. Regardless, I only recommend products or services I would use personally and/or believe will be a good fit for my readers. The views and opinions expressed on this blog are based purely by our own experiences. No monetary compensation was received. Results may vary. My favorite P&G product is Tide Detergent. Thanks for the great giveaway! Have a nice weekend! We use a lot of P&G products, to pick just one favorite- Tide detergent. I like alot of the P&G products especially the hair products. My favorite product is Head and Shoulders. I'm always surprised at how many products that I use every day are P&G products. I like Covergirl mascara. nomfreebies at hotmail dot com. My favorite P&G product is Tide laundry detergent. It is the only laundry detergent I'll use. My fav P&G product is the Tide pods! They are perfect size and no spillage! I LIKE THE FREBREEZE AND THE TIDE AND THE REST OF THE STUFF MADE BY THEM. Tide Pods is my favorite product. I had a high school teacher who I had for almost 4 hours in a row.. so we became really good friends and he taught me a lot. I love the tide pods. It is so easy with no measuring or cleanup. Just love them. My favorite teacher is in 6th grade. Her philosophy is to teach with love and she teaches children to respect themselves or others. We use Dawn dish soap every day! It gets our dishes clean, and keeps our hands soft. It is our favorite P&G product. I love love love febreeze! My teachers used it all the time in high school to spray around all of the stinky football players. Hilarious! My favorite teacher was my high school agriscience teacher. He lead a string/bluegrass band that many of the students were in and we traveled and performed all over the country. It's hard to choose, I love all of their products! I guess I'll pick Pantene, it's my favorite shampoo. Tell me something about your favorite teacher! the only teacher i remeber is the one i had a crush one...and shes not the only one.. I have been using Tide for years. Was so happy to switch from powder to liquid, and am even happier now with the Tide Pods. Two P&G products that I like and use all the time are Charmin and Bounty paper products. I love Pantene products. I use many of them regularly, and I try most as they are released. My favorite teacher is still an amazing woman. She's in her 80s, but I saw her recently pumping her own gas a d wearing jeans. Actually, she was really rocking those jeans! One of my favorite P&G products is the Swiffer Duster. It saves me time in my cleaning routine. I like Oil Of Olay body wash.
my favorite teacher was my high school algebra and then later on my calculus teacher, she explained math so well and was very down to earth and fun to have as a teacher. We have several favorites, but the gain laundry detergent is by far our fav! I love their Tide Pods. I also like their Pantene Hair products. P&G offers so many great products. It is hard to choose just one. The Gain scented Febreeze is my favorite. I love the smell of Gain. My favorite teacher was my kindergarten teacher. Her name was Mrs. Threadgill and I was really nervous about school and she made me feel very comfortable and at ease. I use so many P & G products. I love Tide, but I guess my favorite is Bounty paper towels. I like many P&G Products! I guess my favorite is Dawn Liquid, Since I use it to clean many things! My favorite product is probably fabreeze. I live the way it makea everything smell sooo good. My favorite P&G product is Gain. I love the way it smells and it gets my clothes so clean. My Rafflecopter/Giveaway tools name is Tabitha Shrader. My favorite teacher always believed in me and inspired me to do better. She always asked me how my day was and kept in touch after I graduated. I like Tampax. I use them every month and they haven't failed me yet. Thanks for the giveaway! Tide and Charmin are definitely the household products I use and love the most. Thanks! I love P&G. I don't think I could narrow it down to just one product. I use Charmin, Bounty, Secret and alot of other P&G too and like them all!!! I love P&G Products. The one that is my most favorite of my favorites is Aussie hair cair products. I use their shampoo and conditioner every day.